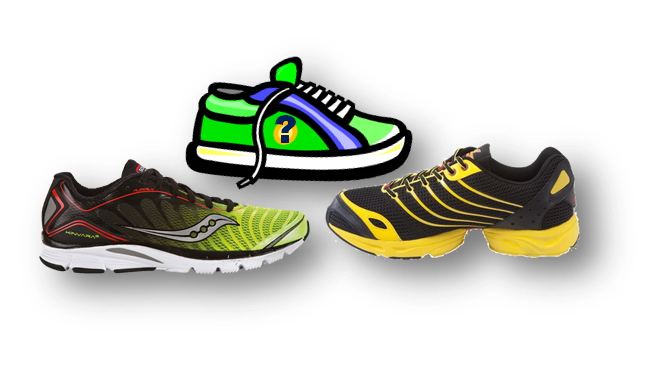 I'm feeling a little guilty regarding my delay in posting my reviews about the Spira Stingers and Saucony Kinvara 3's. I have written a fair amount on both shoes through this blog, so it's not like I haven't reported on them. 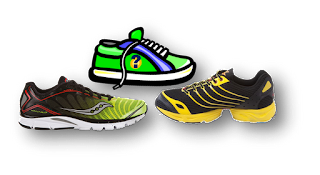 Now, with the new shoes that I am testing for the manufacturer, it's even harder to focus on one particular brand. I'm about halfway through my review of the Spiras, so I decided to wear them on this morning's run. Once again, the rain forced me to stay inside on the treadmill. 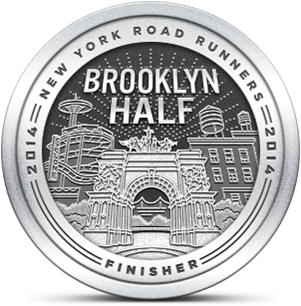 It was extremely humid at the start, so I moderated my pace to prevent overheating. The treadmill has dual fans that throw a decent amount of air, but that was no match for today's heat. After running so often in the Kinvaras, and more recently in my test shoes, I was better able to discern key differences between the three pairs. The Spiras, which I sized up by 1/2 to ensure a good fit in the toe box, are flexible at the mid-foot, but the uppers bag when the shoe flexes. I also noticed a little pressure from the wavesprings on the fore-foot, something I hadn't experienced before. I ended up having a decent run, though I throttled my performance in deference to the heat and humidity. As I ran through my workout, my eyes locked on the the other two pair in my current rotation. If I had to choose only one shoe, which would it be? After today, I think the answer is starting to come to me. Where can I get a SAG card? What to try and what to buy?